There's not much I can do to stop my hay fever apart from taking anti histamine tablets but I feel better when I eat lots of colourful foods with hugh vitamin C content and super mega spicy. Here's what I made for my lunch today. Preheat the oven on 200 degrees or gas mark. 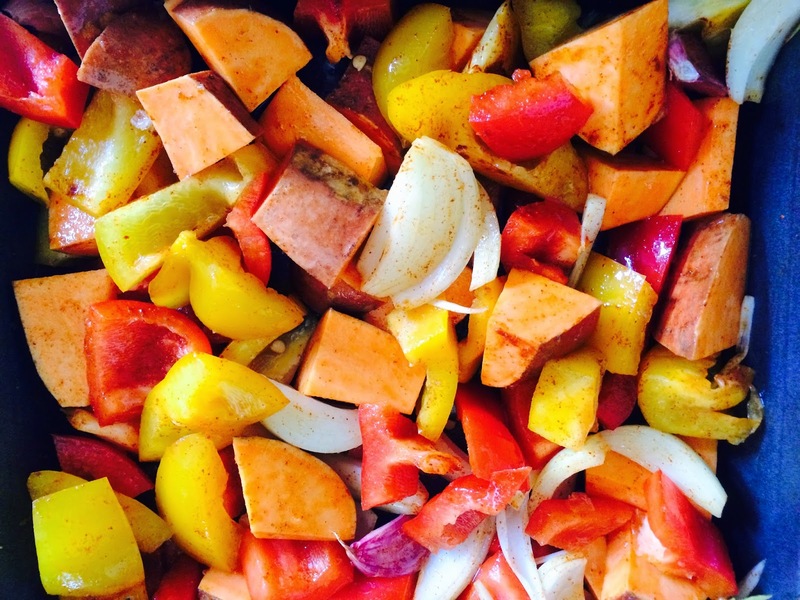 Chop all vegetables into cubes and mix the spices together on a baking tray. Bake for 45 minutes. Serve with grated beetroot and steamed broccoli. I also made a grapefruit juice using one white grapefruit, 1 medium navel orange and one large carrot.